Dental veneers in Sydney provide a great way of covering some inconsistencies found in our teeth. This includes cases such as a cracked, chipped or discoloured tooth which can be easily remedied with the use of veneers. Those who would like to change the shape and size of their teeth will also be able to do so with the use of the same procedure. Veneers in Sydney are known to be pretty durable but with that being said, this does not mean that they are impervious to wear and tear. 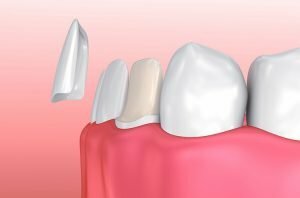 Let us look at some of the ways to keep your teeth veneers in Sydney in tip top shape for a considerable period of time. It should be noted that porcelain veneers in Sydney are known to be a lot stronger when compared to their composite counterparts. With that being said, composite veneers in Sydney may be able to outlive their average life expectancy through proper maintenance and care. Practising good oral hygiene for example, will definitely go a long way in helping keep the integrity of your veneers. This includes practices such as brushing, flossing and rinsing done on a regular day to day basis. Although veneers are quite durable, there is a tendency for them to chip and break. You can avoid this by refraining from excessive chewing on excessively hard materials such as pens, nails, ice, and bones. If you are engaging in physical activity like sports, you may also want to invest in a mouth guard to help protect your veneers as well as your natural teeth from potential trauma.